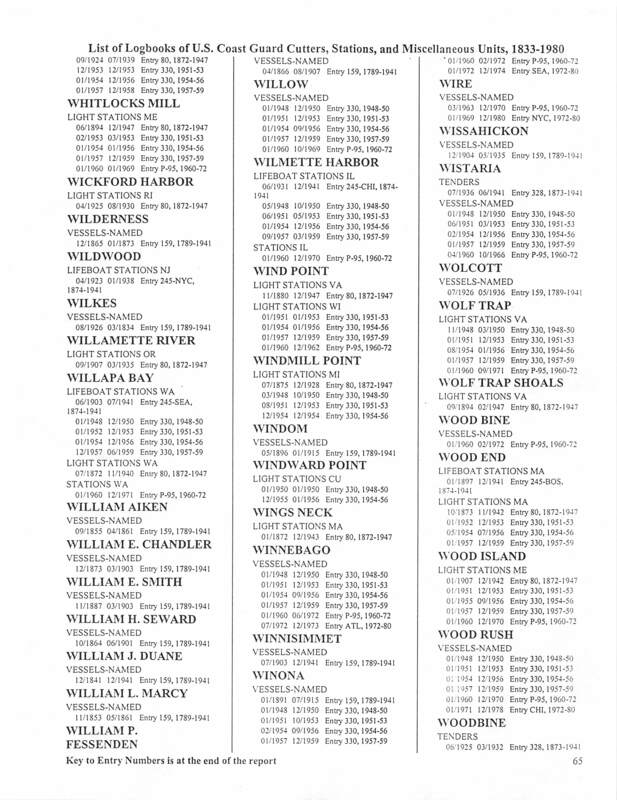 I have made the National Archives RG 26 finding aid “List of Logbooks of U.S. Coast Guard Cutters, Stations, and Miscellaneous Units, 1833 – 1980” available at http://lighthousehistory.info/research/uslhs/rg-26-finding-aid-for-logbooks/. Note that lighthouse keepers were not required to keep a daily log until 1872. Many logs are missing.